Chicago is home to some of the most innovative and inspiring urban agriculture projects in the United States. And FamilyFarmed is providing the opportunity to visit three of these sites on a curated Urban Farm Bus Tour — taking place on Saturday, March 18 during our Good Food Festival. Read on to learn more about this year’s innovative urban ag sites, and then grab your tickets here before the bus fills up! Participants will tour three of the leading farm sites, community programs and sustainability incubators in Chicago: Metropolitan Farms, The Pie Patch, and The Urban Canopy. The tour will be led by Breanne Heath, certified organic farm owner, certified horticulturist, edible garden educator and garden manager — and founder of The Pie Patch, an urban orchard and farm. Crain’s Chicago Business recently attributed Chicago’s record levels of year-round local, sustainably grown produce to the recent rise in the region’s urban agriculture initiatives. FamilyFarmed is proud to know and partner with many of the farmers who are making a difference in the urban ag scene, and seeks to promote their inspiring and essential work. The March 18 event follows on the heels of the last FamilyFarmed Urban Farm Bus Tour in September. Participants in that tour visited Windy City Harvest Legends South Farm, Growing Power, The Plant and Growing Home for a fun and informative day of Urban Ag learning. Check-in for the Urban Farm Bus Tour takes place at 8:30 a.m. at the UIC Forum on the University of Illinois at Chicago campus, the site of FamilyFarmed’s Good Food Festival. And … bonus… it will return to the same spot around noon, giving you the afternoon to participate in all of the great, family-friendly Festival programming. 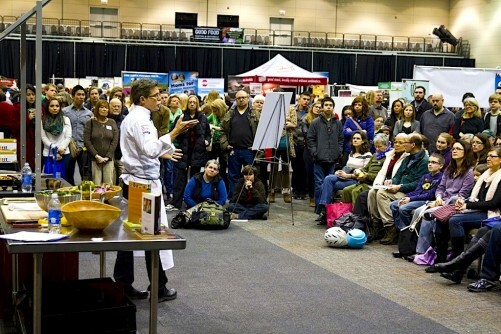 Highlights include chef demos by local culinary stars such as Rick Bayless of the Frontera restaurant group and Rob Levitt of The Butcher & Larder at Local Foods; panel discussions on vital issues such as Good Food is Good Medicine; and of course, the exhibit hall where many of the region’s best farm and food entrepreneurs will be sampling — and selling — their products. Grab a reusable bag and do your grocery shopping at the Good Food Festival! The Good Food Festival caps FamilyFarmed’s Good Food Festival & Conference at the UIC Forum, which includes the Good Food Financing & Innovation Conference on Thursday, March 16 and the Good Food Trade Show & Policy Conference on Friday, March 17. To learn more about these programs and to buy tickets, please visit the event website. Now let’s meet the urban farms that will host the Bus Tour. The tour kicks off at Metropolitan Farms, a commercial aquaponics farm housed in a 10,000 square-foot greenhouse in Chicago’s West Humboldt Park neighborhood. Co-founders Benjamin Kant and Shockey Funk turned their idea for an urban aquaponic farm into reality in 2014 when they began construction on a vacant lot, formerly home to a dairy packaging plant. 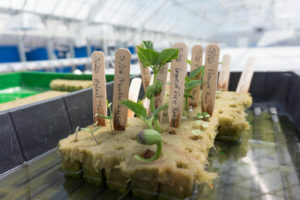 By 2015, they were selling artisanal herbs, salad greens and locally sourced, tank-raised tilapia through their aquaponics system — a method of farming that cultivates aquatic life and produce in connected tanks. The idea for the farm took root when Kant realized the need for fresh food in the city of Chicago, especially during the long winters. He believed Metropolitan Farms could help satisfy that need through their closed-loop, efficient aquaponic system. The mission of Metropolitan Farms is to grow fresh food in the city where it is eaten, in order to work towards a healthier, more secure and environmentally sustainable food system. With a greenhouse that is open year-round, Metropolitan Farms is able to feed its community and play a part in addressing the increased demand for local food. Aside from just producing fresh food for the community, Metropolitan Farms also hosts tours and events that educate visitors about sustainable urban aquaponic farming practices, local markets, composting, water recycling, science and biology, urban agriculture and more. Part of creating a more sustainable food system means educating the community about what a better food system looks like and how everyone can contribute, and Metropolitan Farms is doing just that. 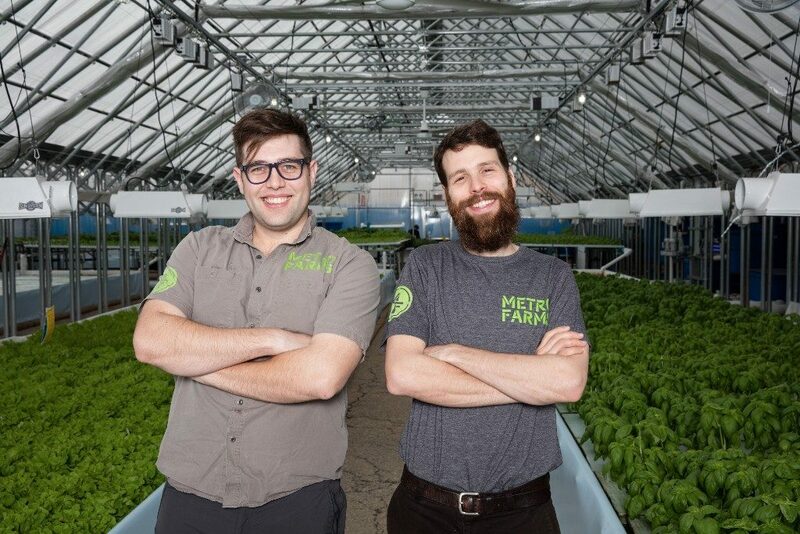 Metropolitan Farms co-founders Benjamin Kant and Shockey Funk in their Chicago greenhouse. Photo: Momma Cuisine, one of the fabulous media sponsors of FamilyFarmed’s Good Food Festival & Conference; check out her Metropolitan Farms feature here. Next stop is at Breanne Heath’s beautiful, USDA certified organic pick-your-own farm. 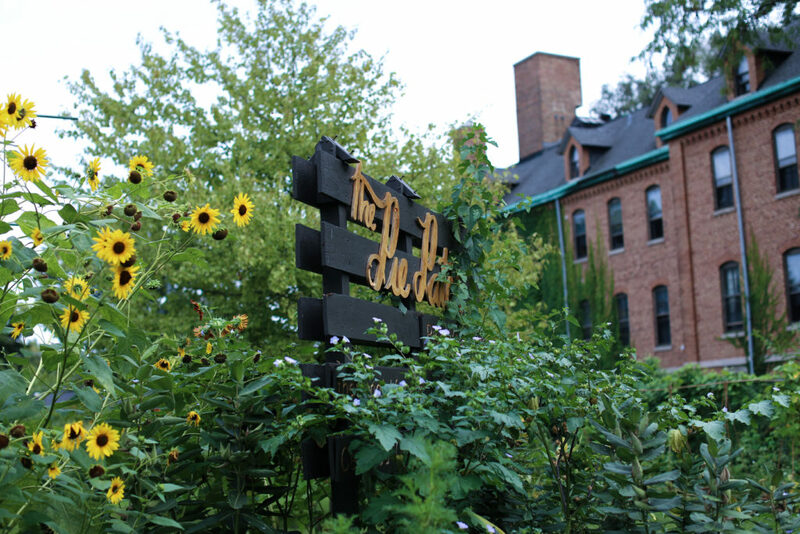 The Pie Patch is a hidden oasis on a quiet street in the Back of the Yards neighborhood. 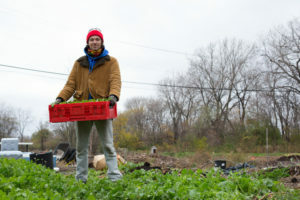 Although The Pie Patch opened for its first U-pick in 2015, the site has been a farm and garden in Chicago for almost 30 years, benefitting from years of community groups and individuals creating healthy soil, planting a variety of beneficial plants and encouraging diverse insect, bird and microbial life. The name Pie Patch is a direct representation of what they grow on the farm: fruits and vegetables traditionally used in pies, such as strawberries, apples, pears, plums, raspberries, rhubarb, sweet squash and pumpkin, sweet potatoes and concord grapes. The fact that The Pie Patch is certified organic is a big deal for a small urban farm in the middle of Chicago, a city with its share of soil contamination issues stemming from its industrial history. 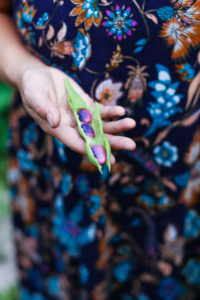 Breanne pursued the organic certification in order to offer full transparency about production methods to her consumers. She was thrilled that her customers wanted to know how their food was being produced, and knew that “certified organic” was a term people understood and trusted. Now that she’s done it, she has tremendous respect for other certified organic farmers, as she understands the time and attention to detail that goes into documentation for the certification. As the first certified organic berry farm in Chicago, The Pie Patch is proud to offer the juiciest and freshest fruits to the Back of the Yards community. As an added bonus to all of the pie produce, The Pie Patch is also home to an ornate physic garden filled with organic medicinal and culinary herbs, vegetables and flowers, growing alongside the chain-link fence. This portion of the farm is run by Sarah Jane Mallin, founder of Pyrite Sun, whose mission is to create colorful, nourishing and beautiful food so that you can feel good about how you eat. Together, Sarah and Breanne work with volunteers, many from the school next door and the neighborhood, to cultivate healthy food and a healthy community within their half-acre of green goodness. For the last stop of the tour, participants will visit The Urban Canopy, a mission driven business that graduated from FamilyFarmed’s first cohort of the Good Food Business Accelerator. Founded in 2011, The Urban Canopy includes an indoor growing space, support for community and school gardens, and a two-acre community farm in the Englewood neighborhood of Chicago. Their mission is to grow more food in the city in a sustainable way that directly influences the way people think about nutrition, environment, economy and community. Specifically, they seek to increase the availability of healthy produce, reduce food miles, create local jobs and empower communities. 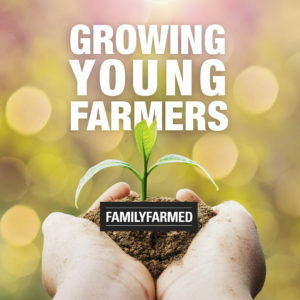 In April 2015, co-founders Alex Poltorak and Alberto Rincon spoke with FamilyFarmed about the origin of their business and their plans for growth as they were going through the Accelerator. When they started out, the idea of creating a financially viable business based on growing food in urban lots was pretty new and experimental. But the demand for locally produced food, coupled with their concern for the ecological impact of the conventional agriculture system, led them to create a unique business model with a triple bottom line of people, planet and profit. 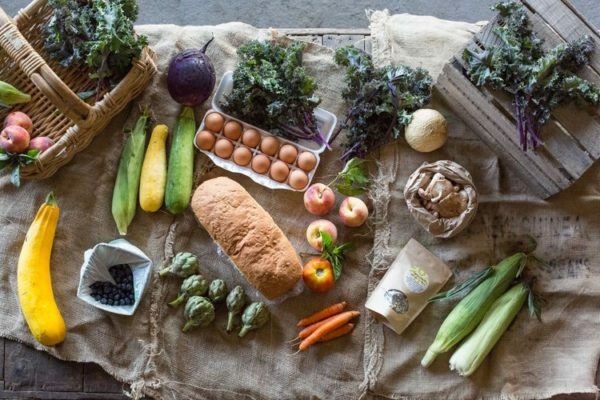 Aside from selling their products direct to consumer at local farmers markets, their model also includes a Compost Club and a Community Supported Agriculture (CSA) program. Over the years, they have compiled a diverse team of growers, educators and urban ag advocates who are working hard to advance their mission — and demonstrate the power of urban agriculture and education to create a more sustainable food system for all. 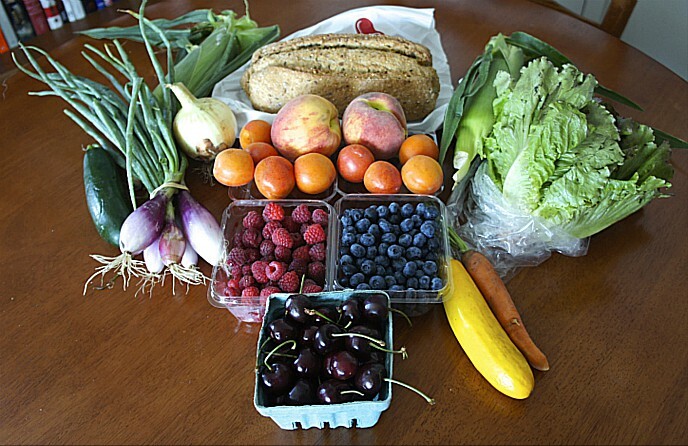 Or as we put it at FamilyFarmed, Good Food on Every Table. This entry was posted in CSAs, Direct Farm Marketing, Family Farms, Farm businesses, Food and community, Food Entrepreneurs, Good Food business development, Good Food Festivals, Growing Young Farmers, Local Food, Organic farming, Small Farmers, Urban farming, Young farmers and tagged Community Supported Agriculture, FamilyFarmed, Good Food Business Accelerator, Good Food Festival, Good Food Festival & Conference, Growing Home, Growing Power, Metropolitan Farms Chicago, Pyrite Sun, The Pie Patch Chicago, The Plant Chicago, The Urban Canopy Chicago, Urban Ag Bus Tour, Urban agriculture, Urban farming, Windy City Harvest. Bookmark the permalink.